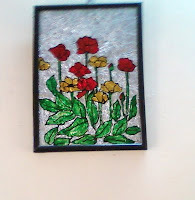 Glass painting looks gorgeous and is quite easy . Special Glass Painting kits are available in the market , a piece of glass from a hardware shop is all we need. There are plenty of designs available on the net. 1 Clean the glass piece with water and wipe it dry. 2 Place the design under the glass, tape it if you wish. 3 Use the outliner provided in the kit to trace the outlines.Let it dry for 15/ 20 minutes. 4 Fill in the colors according to the design. Dry for 24 hrs. 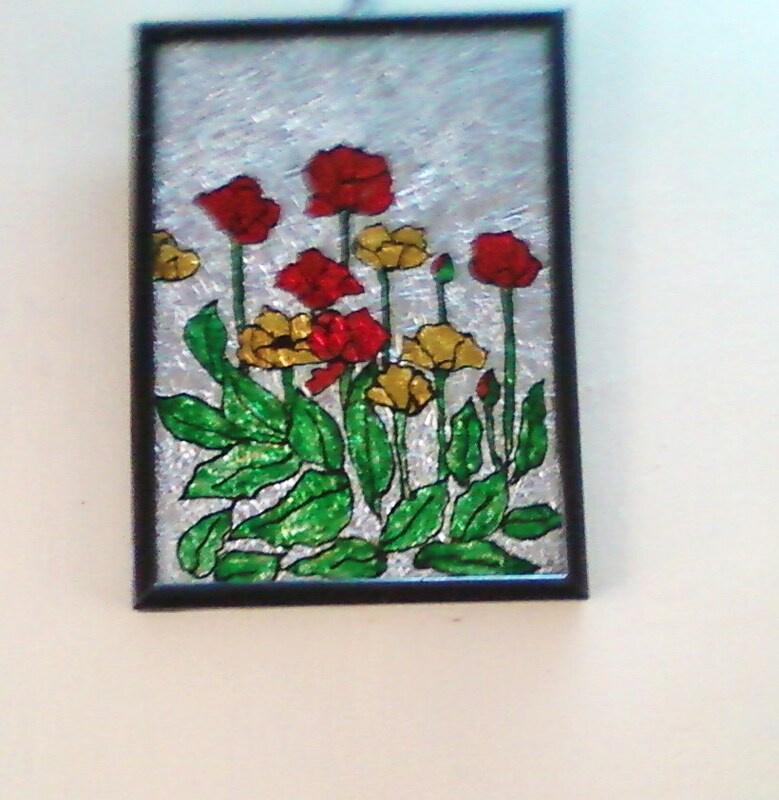 Your first glass painting is ready to be framed ! Glass painting colors have to be used direct from the bottle, no brushes are needed. Cotton buds can be used to wipe off spills. M -seal can be used instead of glass outliner. Make a long thread of M -Seal by rolling it and stick it on the outlines. 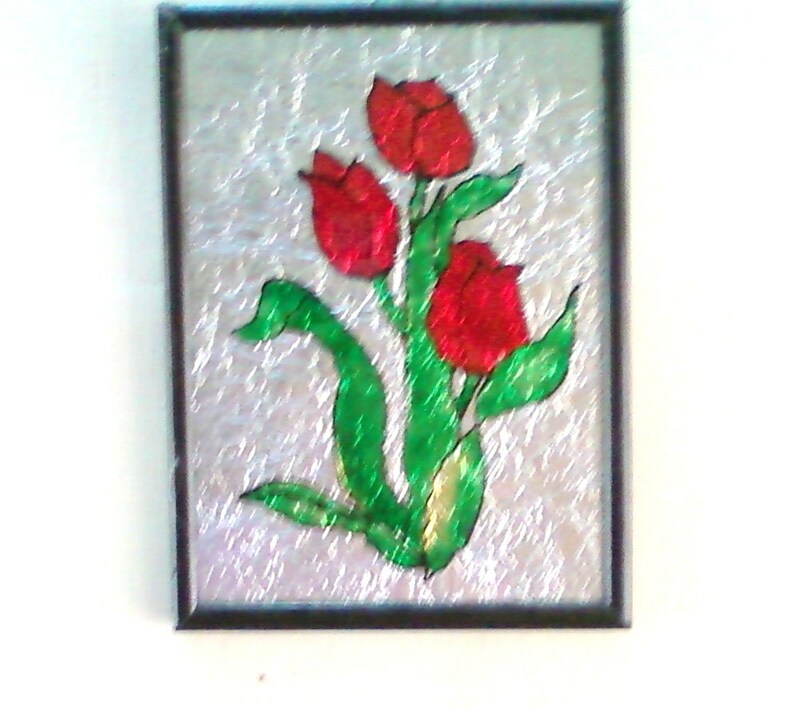 One can put crushed aluminium foil used in the kitchen for background for the painting or leave it blank.